Baggallini - ქალის ლურჯი ნეილონის სამოგზაურო ჩანთა. New picture id window! 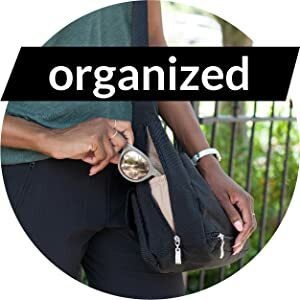 a classic carry-on and everyday travel tote, the quilted avenue tote now has a removable rfid wristlet to keep you safer and secure from id theft. 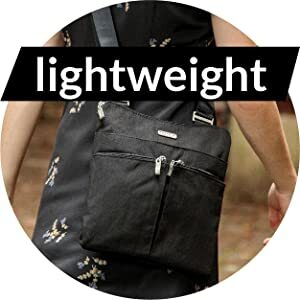 Ultra-lightweight and roomy, this bagg with the removable, adjustable strap is packed with pockets galore and contains convenient spots for your smartphone and your tablet, too. Thoughtfully designed pockets and compartments hold all of your essentials and leave room for adventure. Super lightweight material won’t weigh you down or hold you back, so you can carry on with your day, effortlessly. 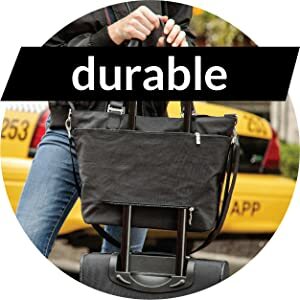 Extremely durable water-resistant material made to last through all of life’s journeys.